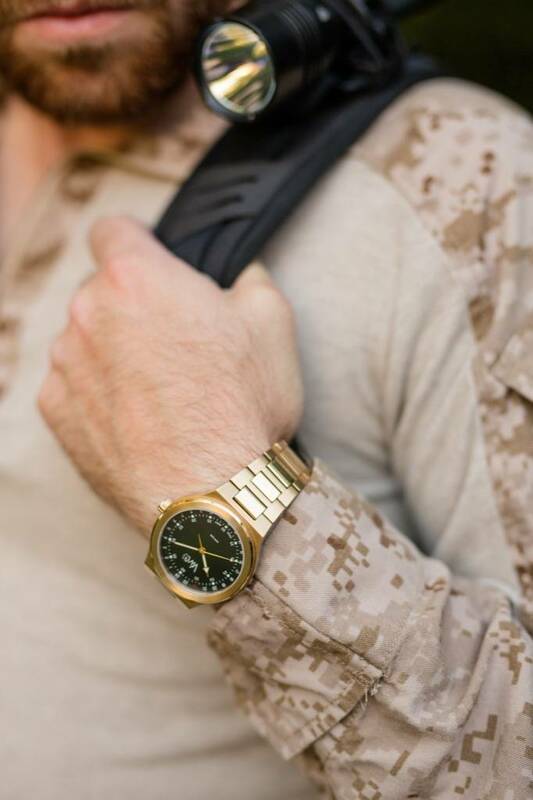 Help Our Veterans, Buy A Cool Watch! We all love watches. Otherwise, I wouldn’t be writing about them and you wouldn’t be reading about them. I’m also a huge supporter of the men and women fighting for our freedoms in this country. So, when I learned of a new watch wholly conceived with the idea of supporting those brave fighting forces I was immediately intrigued. Founder Brent Durban started Valhalla Watch Company after a close friend and veteran took his own life as a result of post-traumatic stress disorder. These types of stories should deeply affect us all, regardless of race, religion, gender, or political leanings. As a watch lover Brent is endeavoring to combine his passion for the hobby with his passion for helping those willing to put their lives on the line to protect the rest of us. Valhalla’s first offering is designed to remind the wearer of our military forces, and succeed in this effort I believe it does. First, and something rarely seen in today’s watch world, using a Rhonda 515.24H quartz movement the Valhalla dial displays the time in true 24-hour format. This means that the hour hand takes a full 24 hours to make one full trip around the dial, rather than the now-standard two revolutions (split into AM and PM) utilized to display time in the familiar 12-hour format. 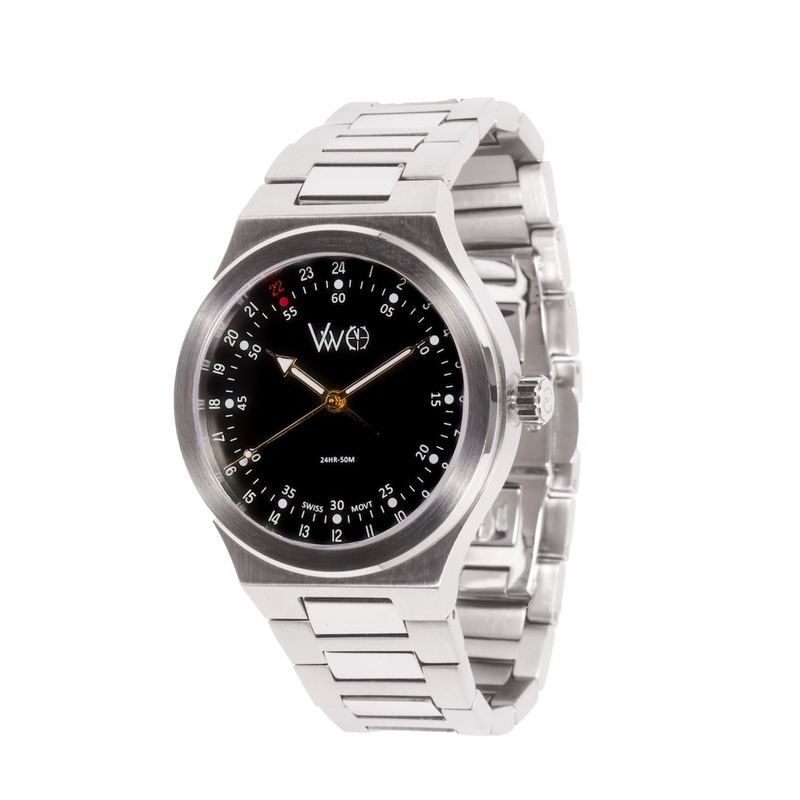 If you’re familiar with the classic Glycine Airman, you’ll understand this concept. While the 515.24H movement comes with GMT and date functions those have been removed in this case in order to offer a cleaner dial. I like it and I think it was the right move, even though it does leave a “phantom” first position on the crown. Second, the “22” on the dial is displayed in red. This represents the VA-estimated 22 veterans who take their own lives every day in this country. 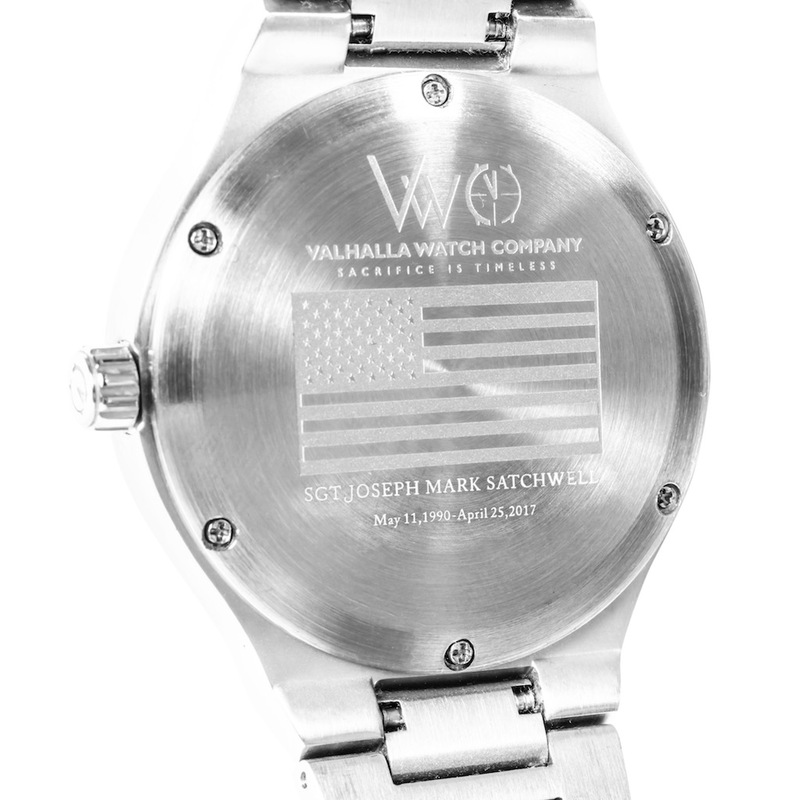 Following along on this theme, 22% of the proceeds from the sale of each watch will be donated to organizations dedicated to the mental health and well being of our veterans. 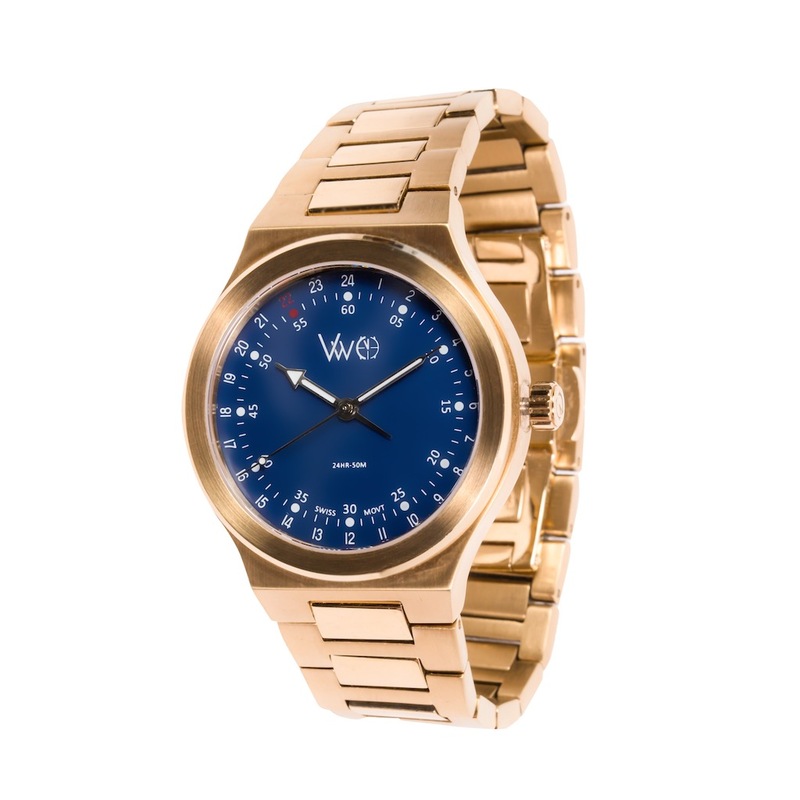 The dial itself will be offered in both black and blue colors, while the buyer will have a choice of either stainless steel or gold plated treatments on the case and bracelet. I’d prefer to see a standard width bracelet and lugs rather than the proprietary end links shown in the press pics, because I think this thing would be absolutely killer on a NATO strap. Provided the bracelet is of a high quality I think most folks will probably be just fine with the lack of strap interchangeability. Each owner will also have the option of a personal engraving on the case back. The prototypes display an American flag along with a tribute to Brent’s fallen friend. Even Rum Runners Need The Time!